Harry Snady, MD PhD, FACG is a gastroenterologist and research scientist with specialty practices in New York City and New Jersey. In addition to being the founder and medical director of GastroCare, Dr. Snady is also the founder and medical director of EUS Imaging, PC, a New York City-based gastroenterology practice and one of the original six sites in the US to use endoscopic ultrasonography (EUS) for difficult-to-diagnose gastrointestinal disorders. As a pioneer of that technology, he was the first physician to describe and standardize criteria for staging pancreatic cancer invasion. As both a physician in private practice and a scientist involved in multiple research and outcomes studies, Dr. Snady has made a lifelong commitment to advancing patient care as well as medical science. His interests in the pancreato-biliary system and in cost-effective treatment for any problematic gastrointestinal issues have resulted in pioneering innovation – independent medical arts based in science and supported by data. Dr. Snady received both his PhD in biochemical pharmacology - the science of how medicines work and affect the body - and his MD from New York University. He continued his medical training with post-doctoral appointments at Mount Sinai Medical Center. He is specialty board certified in gastroenterology as well as internal medicine. He has served as president of the New York Society for Gastrointestinal Endoscopy, was inducted directly as a Fellow into the American College of Gastroenterology, and has been a member of the American Society for Gastrointestinal Endoscopy since 1985, serving on its research and program committees. He serves on the editorial review board for Gastrointestinal Endoscopy, the leading endoscopy journal worldwide. 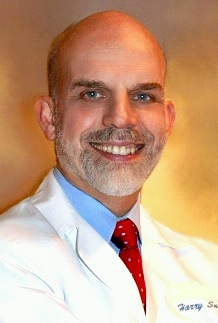 Currently the director of The Center for EUS Imaging and Barrett's Esophagus at Jersey City Medical Center, Dr. Snady has served on the teaching staffs of several New York Medical Centers including North Shore in Manhasset, and Beth Israel, Mount Sinai, St. Luke's-Roosevelt, and St. Vincent's in Manhattan. He is also affiliated with other New Jersey hospitals including Palisades General Medical Center and Hoboken University Medical Center, and is a founder of ACE, The Ambulatory Center for Endoscopy and Colonoscopy, the first procedure center dedicated exclusively to digestive system endoscopy in the New York Metropolitan Area to have achieved triple certification. Dr. Snady has authored or co-authored dozens of original research articles, invited articles and book chapters for professional journals and texts, and has lectured and taught throughout the world. He is a contributor to major national and international medical meetings through presentations, abstracts, invited lectures and poster presentations. For more information on Dr. Snady’s pioneering work to develop the highly specialized field of endoscopic ultrasonography, and current use of TruFreeze Cryotherapy, please visit our sister site, www.eusimaging.com at your leisure. Copyright © 2004-2016. All Rights Reserved. Please see our disclaimer.